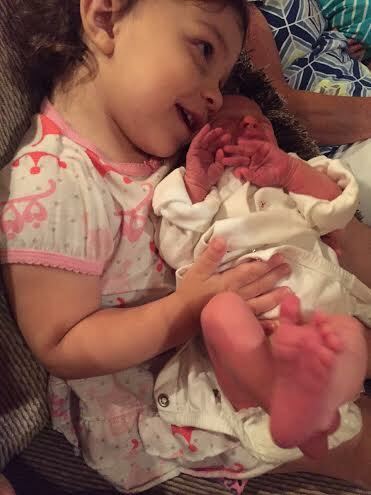 Last week, I shared our twin’s birth story. 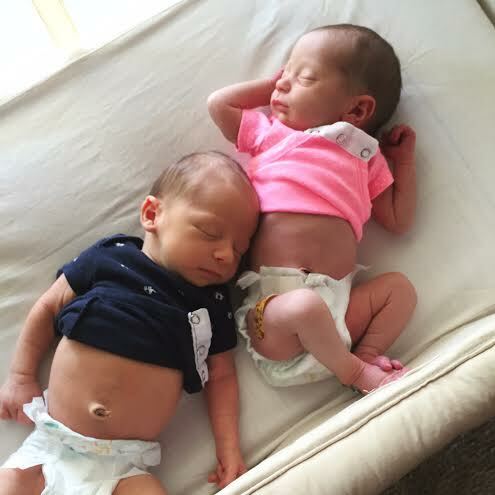 While we did get a beautiful result out of everything that happened, being these two sweet babies of ours, the road to recovery has not been an easy one.I don’t know what I expected out of a c-section recovery since it wasn’t anything I had ever planned for or even expected to happen. But, it did. These are some of the c-section recovery tips that helped me through. Unfortunately, that was not the case for our twins. My mom and sister had come into town the day that we were being released from the hospital. After an uphill climb trying to get both of the twins’ sugar levels up and make sure that they were eating okay, I was glad to go home and try to get back to a somewhat normal life. “Thankful” does not even come close to how I feel about my mom and sister being there. They were such a huge blessing and help in those first few days at home when things were so crazy. They were life-savers. The first day or two at home were really tough for me emotionally. I could hardly walk on my own, I couldn’t reach over to pick my babies up, I couldn’t hold my older girls, and I pretty much had to be waited on. My sweet husband even got a taste of what it will be like when we are 90 and he has to bathe me, considering I could hardly move and he had to help me shower. I can say that this entire experience has brought us closer than ever and we look at one another with a much different level of love and respect. I get it, I had major surgery. But for someone like me who is very independent and used to just handling everything on my own, these feelings of helplessness were the polar opposite for me. On our third day home from the hospital, I woke up feeling terrible. My husband had gone somewhere with my sister and it was just my mom and I home with all of the kids, which would’ve been okay normally… until I started to faint on the couch. My mom was holding the babies and trying to entertain the older girls so that they didn’t see that their mom was losing consciousness on the couch. I had my husband rush home and we spent the next few hours trying to get my blood sugar and levels back up. I am stubborn and did NOT want to go to the emergency room. But, that’s where we ended up that afternoon. I was sent home after fluids and medicine with a diagnosis of severe dehydration and anemia. With the surgery, exclusively breast-feeding twins, and trying to flush my body of all the medication that it wasn’t used to, I was just done physically. The next 24 hours were pretty scary for me as I tried to eat every 1.5 hours, make sure that I was constantly rehydrating myself, and dealing with the side effects of the surgery that I had never felt before. No one tells you that you’re going to feel constant pain from where the spinal was injected, or you would have the worst tension headaches from having to sleep sitting up for a few days, or that you may have tingling in your arms and legs as aftermath from being completely numb, or that you would feel foggy and light headed all the time during recovery. In everything that I had read, there were a lot of people who swear by the ease of c-section deliveries and recoveries. For me personally, as someone who hardly even takes medicine for a headache, this could not have been farther from the truth. 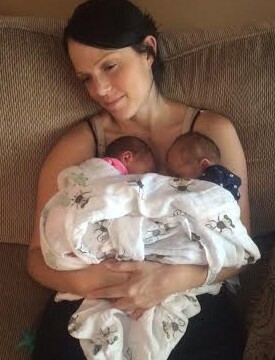 The day after the ER visit, we had to take the twins in for their first check-up. They had both lost a little more weight than the desired level, so I committed to the fact that I would wake them up every two hours to make sure that they were feeding. 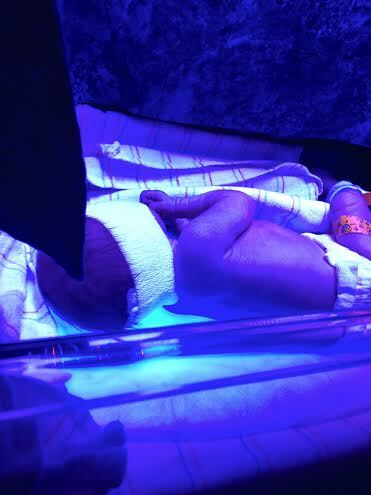 Their blood was also checked to make sure that they were not jaundice, which was not even a thought since their levels were both so low at the hospital. 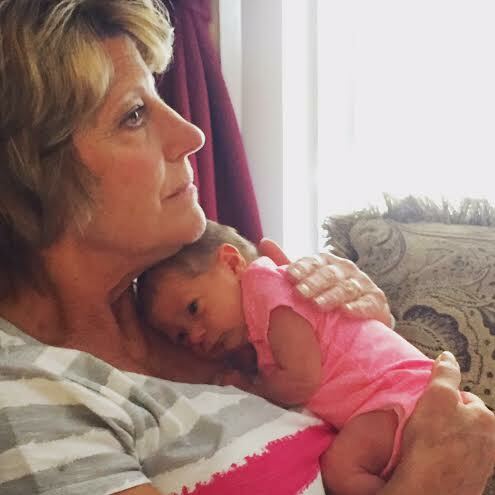 Our pediatrician called us a few hours later saying that Annabelle’s levels were extremely high and we needed to have her admitted to the hospital that night. Talk about an emotional break down moment. I was tired of leaving our girl’s and spending the night in the hospital. I was tired of feeling like crap and not being able to do anything for myself. Just tired. My mom and sister were leaving that night, so we dropped them off at the airport and headed to the hospital. It only took 12 hours at the hospital to get her levels down and we were out of there. I woke up every two hours with the both of them in the hospital to feed them, and I made sure that there was not going to be any reason to go back there. When we got home, they spent the majority of the next day in front of the window to make sure that they were getting natural light and keeping those levels down. When it comes to my older girls and this recovery, I know it has been difficult for them as well. Seeing their mom be immobile and the complete opposite of herself must have been extremely hard for them. My emotional three-year-old really had a hard time the first week with not being able to sit on my lap, play with me, all the things she was used to. Plus, she is old enough to know that the in-and-out of the hospital was not a good thing. Being around grandma and nana and papa more than mom and dad had its effect on her attitude as well. She went through a few days of “I’m not listening to my parents at all”, probably out of rebellion for this whole new baby situation. As I am slowly recovering now, I see her normal self starting to come back out again as well, thank goodness. Our 1.5 year old is actually doing much better than I thought. She loves that babies for a few minutes and then just ignores them. She has a very independent attitude and doesn’t seem to be that effected by all the craziness that has been going on, which I am so thankful for. The day after we got home from the hospital for our jaundice issue, the girls started throwing up. They both had a perfectly timed case of food poisoning… the fun just never ends! My husband was up all night with them while I was up with the babies. We had them quarantined in our room the whole next day while we made sure the girls weren’t contagious or had something other than food poisoning. I think the recovery battle peaked about a week and a half in, although I am still just taking it day by day. Nothing about it has been easy or fun or some wonderful experience that I had experienced with my other recoveries. Physically, I am healing and starting to feel a little bit more like myself again in terms of the ability to move and actually do things on my own. We now have four beautiful, healthy children that have absolutely stolen our hearts. Any and all of the struggles in this recovery are worth it because of them. Next week starts the postpartum series where I will give monthly updates on my own recovery as well as the twins’ growth and change for the month. Did you have a c-section? What was your recovery experience like? So scary! I’m about to have my 4th c-section in 9 weeks. I’m very nervous. My first c-section was an emergency c-section after laboring for 16 hours and my son having fetal distress. Ten days after that c-section, I felt horrible pain and went to the ER to find out I had appendicitis. My appendix was gangrenous and was about to burst. I could have died. I stayed in the hospital for 4 days fighting a bad fever after the appendectomy, crying about being away from my newborn son and not being able to breastfeed him. My 2nd c-section was planned and uneventful…thankfully! With my 3rd, we scheduled it but I actually went into labor a day early and kicked myself for having had breakfast because they made me go through labor for 4 hours until I had digested my food and then had the c-section. I know just about anything can happen this 4th time. I’m so glad I found this post. I had a c-section with my son in October of 2013, and I’m getting ready to have another one with second son this August (next month–eep!). Somehow I’m finding it way more nerve wracking the second time around since the first was unplanned and happened so quick. Thanks for giving me something to read to help me mentally prepare for the “afterwords” of the surgery! 🙂 I’m glad it helped! I hope goes smoothly for you and your new baby. Oh my gosh so sorry you are going through all these struggles! I had a csection after pushing for 5 hours. It was no fun. I’ll have to be honest though my recovery was no where near what yours has been. I also didn’t have any other children to care for. I slept on the couch for a month bc I was scared to go up stairs. I hope you start to feel better soon!! Stairs are still something that I avoid at all costs! I actually haven’t gone up more than a curb step… eek! I can totally relate! I had 5 natural childbirths with midwives before I had my twins. What happened to me was baby B was transverse under my ribs so I needed a c section. Like you it was the most horrible experience I ever had. To make a long story short, the docs in the hospital just wouldn’t leave me alone so I gave my babes some formula, I wasn’t feeling right they thought it was nothing I went home. By day 3 I had a high fever, like you I wasn’t going to stay in the hospital again, turned out I had a uterine infection! I asked for antibiotics I could still breastfeed with, thankfully they worked and I was ok. My girls are 5.5 now. I want to tell you it gets better, it took me a few years to make peace with my whole birth experience and those first couple months. They were emotional, exhausting and I was worried I didn’t enjoy them enough. I learned to be easier on myself and look back and smile and think how strong I was to get through that with 5 other kids! My girls are starting K in August and I can honestly tell you it has flown by! They amaze me everyday. I am so sorry to hear you had such a tough recovery! I hope you are feeling better… I had two c-sections and I must have lucked out or something since I felt fine soon after both of them! With Mila I had the csection on Friday morning and I called my doctor to get me out of there Sunday morning! Also, wear the tape over your stitches (or scar if the stitches are dissolvable) for as long as you can! Then when the tape falls off buy more (they sell it at drugstores) and put on a fresh layer of it over the scar. It will prevent the scar from stretching out… I have the thinnest scar and it is because a plastic surgeon gave me that tip! It sounds so hard! I’m scared of possibly needing a C Section although I know the best thing is having healthy babies and being a healthy mama whatever that takes to get the baby here. I don’t have any advice for you but I’m glad you shared your story! Hope you feel better soon! I hope your delivery is smooth:) Can’t wait to see photos of your sweet babes! Oh, Joanna, what a tough road you have been on so far. Between recovering through major surgery and postpregnancy hormones and your girls getting sick, that is a ton to go through. It will take time to heal, both physically and emotionally, but you are so strong. I just saw my friend who had an emergency c-section and she’s doing great, which gives me faith that you too will be there before you know it! I know this is much, much later after your post, but I’m just reading it now! I just wanted to say you are absolutely not alone in the traumatic c-section experience, and that the emotional scars do eventually heal with time! I had a crash c-section since my BP dropped drastically (I essentially passed out), and caused my son’s heartrate to slow as a result. I was put under general anesthesia to get him out FAST and the hardest question I have ever asked anyone was to ask my husband if our son was okay once I woke up. I barely remember the 24 hours after the birth, and the first week at least was fuzzy like you described. It took me some time to really move on beyond my birth experience, since it was so far from what I wanted. I can’t find the article at the moment, but something I read several months afterwards really helped me realize that even though it wasn’t what I wanted, I was still a mother to a beautiful, healthy little boy that may not be here if the doctors hadn’t acted so quickly. The article said something along the lines of how women who have c-sections for their children’s safety and well-being are a living, breathing example of what it means to be willing to lay our lives down for our children. Major surgery comes with many risks, and the fact that we willingly go through that to bring our babies into the world safely is not something to take lightly. Even if it’s not what I wanted for my own birth experience, I still found it empowering to recognize and embrace that. Best of luck with your beautiful twins and as you continue through your recovery!! There is some odd misconception that a csection is easier than a vaginal delivery. Day of I’m sure this is true, but long term healing it’s way harder. I had a c-section with my first son as he was breach. And am now planning a repeat with my second due to complete placenta previa. My birth experience in the hospital went as smoothly as it could even though I was coping with disappointment. However recovery was so much more than I expected. Being told you could exercise after 6 weeks made me presume I would feel decent in that time frame. It was more like 3 months for me to feel I could get around ok, and about 6 months to be pain free. There was so much information about post partem after a csection that I had to find out on my own. So this second time around I think it will be smoother already knowing what to expect. This time my concern is for my older son who is very active and does not yet talk. My story is almost identical to yours, however our twins are our first kids ???? I had to delivery via emergency c section at 36 weeks and both boys were very healthy besides a little jaundice. BUT recovery was horrendous! I was severely anemic and needed a blood transfusion from hemorrhaging during surgery. Emotionally, my anxiety went through the roof. But even after all of that, we are beyond blessed with 2 beautiful boys that are almost a year old!! God is good! You’re an amazing mama having twins first!